Transmission Games' historical air combat sequel Heroes Over Europe (PC, PS3, X360) will arrive on Xbox 360 and PlayStation 3 in fall 2008, with a PC version coming in early 2009. Series publisher Red Mile Entertainment announced the title today, a followup to 2005's Heroes of the Pacific (PC, PS2, Xbox) from IR Gurus, now known as Transmission Games. "Transmission Games is building on the excellent groundwork it laid with the first game, and based on what we've seen so far, it looks set to deliver a truly stunning follow-up that will thrill armchair pilots everywhere," said Red Mile CEO Glenn Wong in the announcement. Heroes over Europe shifts the gameplay from Pacific War battles against the Japanese during World War II to the Western Front-related conflicts of the allies. The title will make use of an "all-new engine" from Transmission. The Melbourne-based developer's most recent title to come stateside was the jet fighter sim Heatseeker (PS2, PSP, Wii). 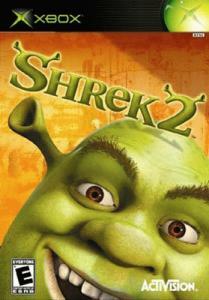 Shrek 2 takes you on a twisted fairy tale advanture with Shrek and his buddies. Revist key places from the movie sequel while discovering all-new locations and characters. Shrek 2 combines squad-based..